The grand Indian Premier League season 9 is going to end tonight with its final match between the two excellent teams Royal Challengers Bangalore and Sunrisers Hyderabad starts at 8 pm. Both the teams are ready to give their last best performances for their maiden crown. RCB will have a better advantage in playing in their hometown at Bangalore in winning world’s most popular cricket league. Captain Virat Kohli has often helped his team an unbeatable one with his superb runs. 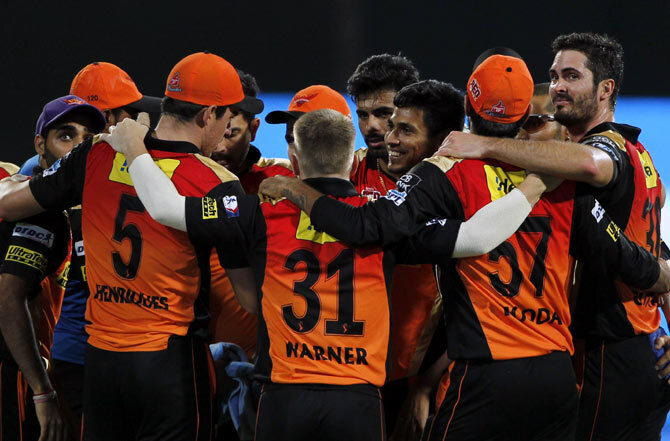 Sunrisers too had a great season, though their reliance was mostly on skipper David Warner. SRH’s team efforts were seen in many of the crucial matches. RCB, after failing to win in both their earlier attempts- 2009 and 2011, are expecting to grab the trophy tonight in front of their home crowd by exhibiting their remarkable performance. Whereas SRH who coped to reach play-offs only once in their debut season in 2013, will attempt to beat the Royal Challengers. Skipper David Warner who pulled off an incredible 4-wicket win against GL in Qualifier 2, will be all set to give a magnificent score for their team. RCB are fully determined to take the full chance by winning the T20 IPL tournament this time, as they have missed the chance two times in the past. RCB have strike the right note with 5 proven performances to defeat Gujarat Lions [by 144 runs], Kolkata Knight Riders [by 9 wickets], Kings XI Punjab [by 82 runs D/L method], Delhi Daredevils [6 wickets], and Gujarat Lions [by 4 wickets] another time in Qualifier 1 to make their place in final clash. Royal Challenger’s Virat Kohli and AB de Villers have been the center of attraction and admiration in everyone’s eyes with their magnificent batsman-ship and partnership. Kohli has been inspiring captain and imparted confidence to his team members. Kohli bagged tremendous runs with his splendid batting and fine leadership qualities. He gathered 919 runs from 15 games that added 6 fifties and 4 centuries along with 113, his highest runs. AB de Villiers is the 3rd highest scorer in the tournament with his 682 runs, adding one century and six half-centuries. Chris Gayle, the big hitter too would focus to produce big knock. Shane Watson, Samuel Badree, and Mitchell Starc too will be contributing great batting shots today. Coming to the bowling side of RCB, Kedar Jadhav, Varun Aaron, Iqbal Abdulla, Mandeep Singh and Yuzvendra Chahal will be firing, trying for taking quick wickets. Leg-spinner Yuzvendra Chahal, being the second highest wicket-taker [20 from 12 games], will again showcase his bowling talent. Chris Jordan who was the last entry too assisted RCB in fighting with their rivals in death over. RCB will certainly take revenge for their 15-run loss to Hyderabad in the last clash. 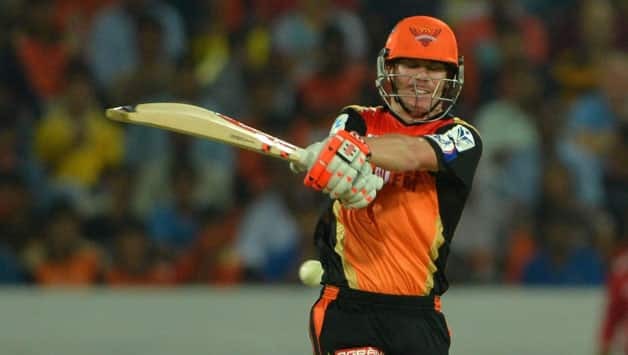 Sunrisers Hyderabad who have been depending on their skipper David Warner, led the team towards final with back-to-back wins, firstly against 2-time winners Kolkata Knight Riders by 22 runs in Eliminator and secondly against Gujarat Lions in Qualifier 2. Warner collected 779 runs from 16 matches with 8 fifties, second next to Virat Kohli in run-getters’ list this IPL. His highest score is match-winning 93 not out against GL in Qualifier 2. Today also Warner is geared up to show his special batting with bombardment of runs. Besides David Warner, the other batting likes are Shikhar Dhawan [473 runs], Yuvraj Singh, Deepak Hooda, Moises Henriques, Naman Ojha, and all-rounder Ben Cutting in batting sector. The bowlers of SRH are just outstanding as they play a stellar role in thrashing their opponents, and today too they are set to deliver greatly. SRH’s leading wicket-takers include seamer Bhuvneshwar Kumar [23 wickets from 16 matches], and Bangladesh pacer Mustafizur Rahman [16 wickets from 15 matches]. Even Karn Sharma and Barinder Sran have lived up to the expectations of their skipper, and will display their best bowling side today. Royal Challengers Bangalore Team: Virat Kohli [C], AB de Villiers, Chris Gayle, Shane Watson, KL Rahul, Sachin Baby, Varun Aaron, Abu Nechim, Sreenath Aravind, Stuart Binny, Chris Jordan, Travis Head, Yuzvnedra Chahal, Iqbal Abdullah, Chris Jordan, Kedar Jadhav, David Wiese, Akshay Karnewar, Vikramjeet Malik, Sarfaraz Khan, Kane Richardson, Harshal Patel, Parveez Rasool, Mandeep Singh, Tabraiz Shamshi, Vikas Tokas, Praveen Dubey. Sunrisers Hyderabad Team: David Warner [C], Shikhar Dhawan, Yuvraj Singh, Eoin Morgan, Moises Henriques, Deepak Hooda, Naman Ojha, Mostafizur Rahman, Karn Sharma, Bhuvneshwar Kumar, Barinder Sran, Ben Cutting, Trent Boult, Kane Williamson, Ashish Reddy, Bipul Sharma, Ricky Bhui, Siddarth Kaul, Abhimanyu Mithun, T Suman, Vijay Shankar, Aditya Tare. IPL Season 9 ends on a happy note as Sunrisers Hyderabad beat Royal Challengers Bangalore by 8 runs, and be the first time IPL winner. Sunrisers Hyderabad: D. Warner c Iqbal Abdulla b Aravind 69, S. Dhawan c Jordan b Chahal 28, M. Henriques c Chahal b Jordan 4, Yuvraj Singh c Watson b Jordan 38, D. Hooda c Kohli b Aravind 3, Ben Cutting (not out) 39, N. Ojha run out 7, Bipul Sharma c Chahal b Jordan 5, B. Kumar (not out) 1. Extras (b 1, lb 2, w 11): 14. Total (for 7 wickets in 20 overs): 208. FoW: 1-63, 2-97, 3-125, 4-147, 5-148, 6-158, 7-174. Bowling: Aravind 4-0-30-2, Gayle 3-0-24-0, Watson 4-0-61-0, Chahal 4-0-35-1, Abdulla 1-0-10-0, Jordan 4-0-45-3. 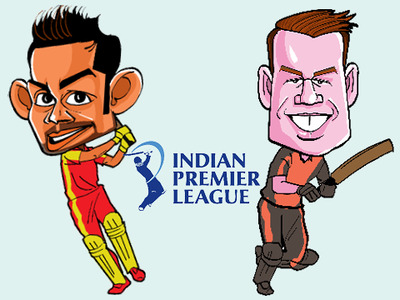 Royal Challengers Bangalore: C. Gayle c Bipul Sharma b Cutting 76, Virat Kohli b Sran 54, A.B. de Villiers c Henriques b Bipul Sharma 5, K.L. Rahul b Cutting 11, S. Watson c Henriques b Mustafizur Rahman 11, Sachin Baby not out 18, S. Binny run out 9, Chris Jordan run out 3, Iqbal Abulla not out 4. Extras (lb-5, w-4): 9. Total (for 7 wickets in 20 overs): 200. Bowling: B. Kumar 4-0-25-0, B. Sran 3-0-41-1, Ben Cutting 4-0-35-2, Mustafizur Rahman 4-0-37-1, Moises Henriques 3-0-40-0, Bipul Sharma 2-0-17-1. 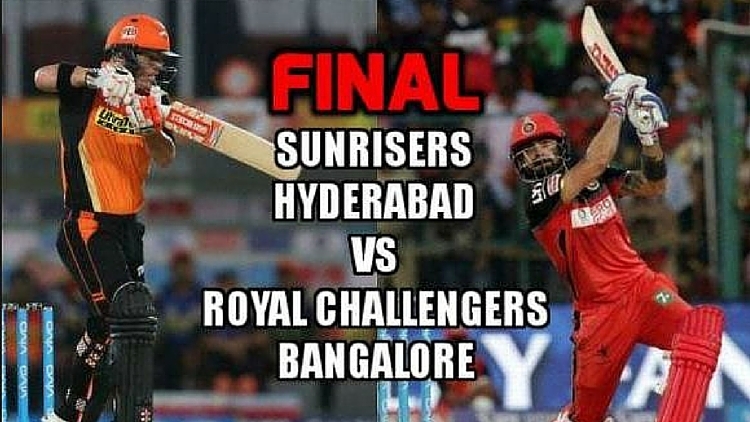 Sunrisers Hyderabad win by 8 runs against Royal Challengers Bangalore. Hyderbad’s David Warner and Ben Cutting help their team win maiden IPL title. 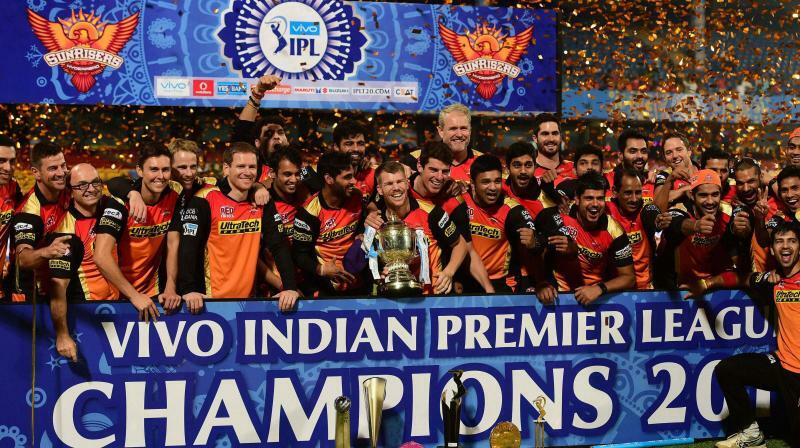 Known as the underdogs, the Sunrisers Hyderabad have turned out to be the champions! They are the real sunrisers as they outclass RCB with their incredible win. Thanks a lot & keep visiting my site for more updates. Keep visiting my website for more updates. Thanks a lot for visiting my websites. Stay tuned for more new updates. Our sole motto is to contribute to the benefit of our customers. I will be updating my site often with fresh news!